If you are in need or roof repair or replacement in Rabun County, GA, look no further than Burell Built Exteriors! Our contractors provide complete home and full business roofing services. Call us anytime at (865) 385-6926 to get more information about our roofing company in Rabun County, GA.
Our contractors are proud to specialize in a variety of roofing methods and materials for your house or business. No matter what problem your roof is experiencing, we will use our decades of roofing knowledge to quickly assess and repair the issue. We also provide emergency roof repair, so call our team at (865) 385-6926 anytime, 24 hours a day, for help! 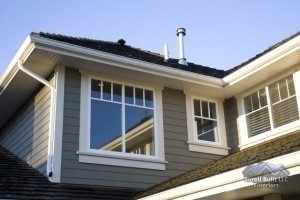 If you need gutter or siding replacement, we can help with that too! No matter the size of the job, choose our roofing company in Rabun County, GA for expert service you can trust.